Hello, I am thrilled with the fighter verse CDs . . . There is simply no better tool for saturating my kids (now 7,5,3 years of age) and myself with Bible! – J.A. We hope this is an encouragement to you. Kira probably knows most of the CD by heart already and just tonight was writing a note of encouragement to an unsaved friend using fighter verses and was sitting there singing them as she was writing them. They are being hidden in her (their) hearts and they will remember them because of the songs. . . So thank you for your hard work. We certainly appreciate all the effort that went into the CD, which is being used by the Lord to help us fight the fight of faith. – G. H.
I picked up the Fighter verse song CD today at church for the Set D we are just beginning. This is such a cool project. Thank you for all your hard work. I am leading worship for my small group . 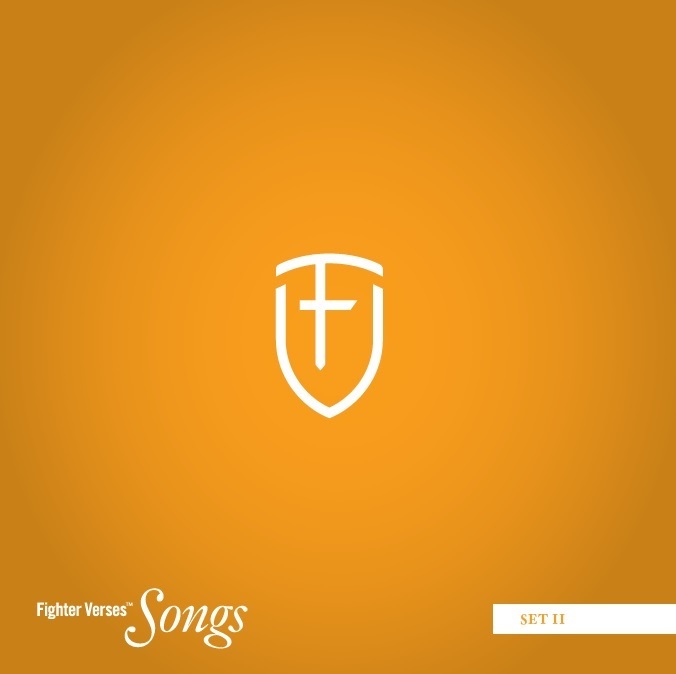 . . My small group is making a real effort to keep up with learning the fighter verses and I think it would be cool to try and learn some of these songs to add to our worship times. – P.B. Many thanks to you for your work. This was a valuable project. It was worth doing and it was done well. I am grateful to everyone who worked on it. – B.W. (Our Four Year Old Son) has had your CD on rotation with Steve Green’s bible verse songs for the last week. . . Thanks for making this. It’s great. – A.P. I just wanted to thank you for all your hard work in putting together the fighter verse songs. They have already been a great help to me, and my children enjoy them too. I would love to see more fighter verse songs come together. Thank you again for your ministry to the body! What a blessing to have the Word on my mind throughout the day. – L.K. We so very much appreciate the fighter verse song CD! Our whole family is using it and singing scripture all day (and night!). What a blessing to us, and please, if you can, continue on with the rest. We would gladly pay to get these songs to go with the verses. – E.H. I am excited about this music and how it has already allowed me to put this week’s verse in my heart. – A.G.
Let me say “thanks to God” for this gift to Bethlehem! I love when the people of God have the word of God on their minds, hearts, and lips! Great job, everyone! THANKS FOR ALL YOUR HARD WORK….EVERYONE!!! – J.F. We listened to the fighter verse CD yesterday – it sounded GREAT! . . . . Thanks for putting this together – I am certain that many will be blessed by the verses it helps us remember. – N.D. I just wanted to thank you, thank you, THANK YOU for the music CD! You don’t know how much we appreciate it! -M.B. The Fighter verse CD did not leave our CD player for the first two weeks we owned it. Our 11 year old sits by the player and pushes “repeat” on his favorite songs and now leads us in singing verses when we travel as a family in the van. Anyone visitor to our home, who hears the CD, requests a copy and says this is the most beautiful music they have ever heard. Thanks again for your time and heart invested in the Fighter Verse CD project. We have been very blessed – K.A.